Cpl. Joseph Maciel, of South Gate, California, was shot and killed and two others were wounded in July at Tarin Kowt in southern Uruzgan province. And Army Command Sgt. Maj. Timothy A. Bolyard, of Thornton, West Virginia, was shot and killed and another service member was wounded by a member of the Afghan national police in eastern Logar province. The troops were all part of the 1st Security Force Assistance Brigade, which is spread out across Afghanistan to train and advise local forces. It’s too early to tell if training or other changes must be made in light of an insider attack in Afghanistan that killed one American soldier and wounded two others, because there’s some uncertainty about whether the assailant was a disgruntled Afghan soldier or an insurgent infiltrator, the Army’s top officer says. 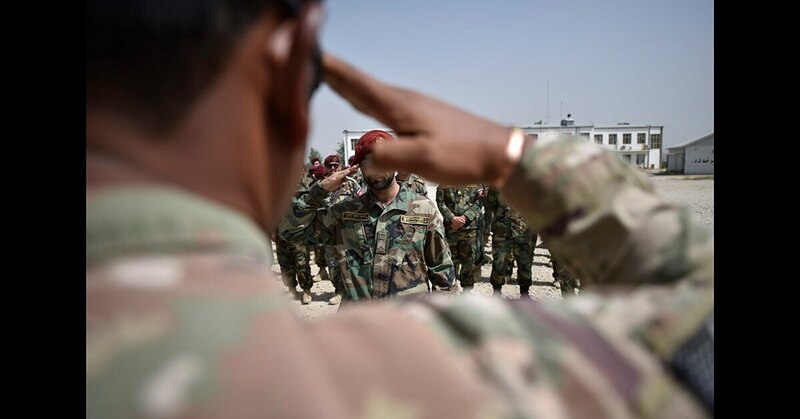 In addition to the Taliban fight, the U.S. has been supporting Afghan forces in an aggressive campaign against Islamic State group insurgents in eastern Nangarhar province. The ISIS affiliate, however, has repeatedly been able to carry out horrific and brazen attacks in the heavily fortified capital of Kabul.